At Swihart Industries, Inc., we provide custom CNC turning for high precision aluminum machined parts for a myriad of industries. Our capabilities are ideal for applications such precision pumps in the medical and process industries. Examples of this type of equipment include pumping and recirculation of coolant for CT and MRI equipment. Additionally, these applications cross over to X-ray scanning equipment that is not only used in medical but also in the security industry. For this process assembly we machined parts ranging from 2" to 20" (5.08cm-50.8cm) constructed out of T60 and T61 aluminum as well as 304 and 316 stainless steel. 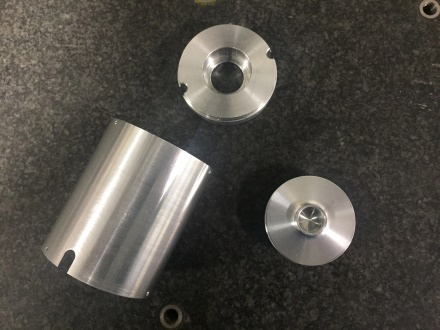 These parts were made using precision CNC equipment including Okuma, Haas, Fanuc Rob drill, high speed Enshu machining centers, and Hardinge lath. The parts are made to meet dimensional tolerances of +/- .0005 in the bearing bore. 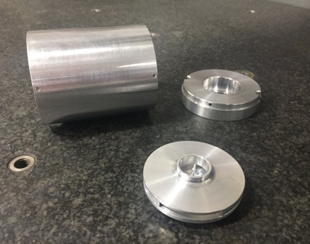 After the part is made to the customer's specifications, it is then polished to a surface finish of Ra 8 and 16 depending on the part. Our customer's products are part of solutions produced for the medical and security industry but the applications are wide and varied for process fluid circulation. This application specifically addresses unique requirements for refrigerant recirculation. Swihart Industries holds ISO 9001:2015 and TS16949:2009 certifications. 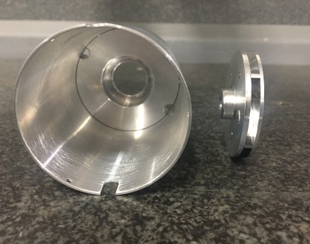 Equipment used to assure a quality part meets tolerance specifications includes Giddings and Lewis CMM's (Coordinate Measuring Machine). Typical production quantities ranged from 50-1,000 pieces per month, depending on demand. 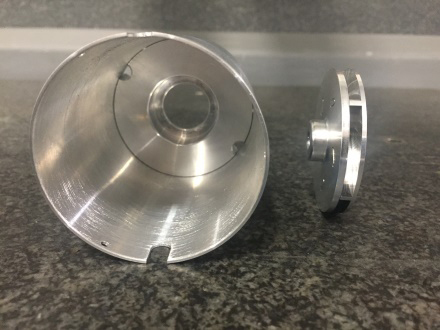 The customer has been very pleased with our performance and our precision quality, assembly, and responses to design changes. For more information about this custom CNC machining and assembly project, see the table below, or contact us directly.